Only a 180-ml decanter of sake per day has been allowed for me to drink since the 8th of this month. 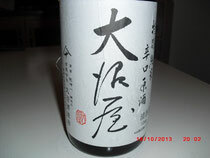 I recently enjoy drinking junmaisyu sake diluted with sparkling water. A sake master says the taste of real authentic sake does not change even if diluted with water. That was illuminating for me. 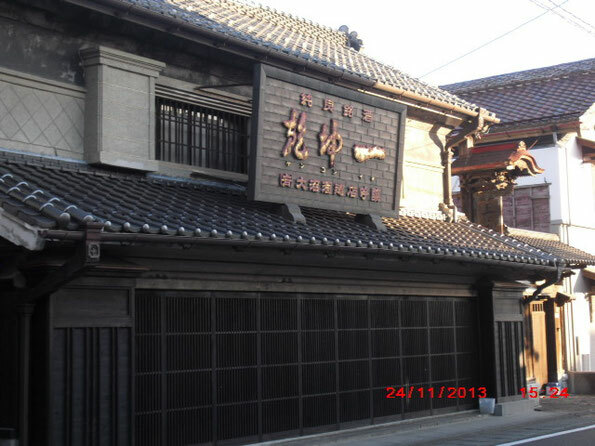 Onumaya-shuzoten, a sake brewer located in Murata-cho Town in Miyagi Pref., has 300-year-old history and makes the sake called 'Kenkon-ichi', which is very delicious. I found another version of 'Kenkon-ichi' today at Aoki Shoten, a liquor shop in Sendai. 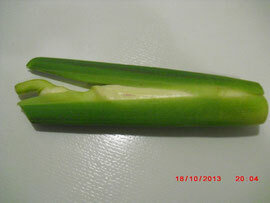 It is called 'Onumaya' and exclusively made for this shop. Enjoyed a decanter of 'Onumaya' with slices of Makomodake (photo), wild rice and my favorite salted ascidian guts made by Yokotaya-Honten, Kesennuma City as nibblies.
! Click here for your inquiry ! Please leave your message when answering the machine. Will call you back the sooner possible. Thanks.